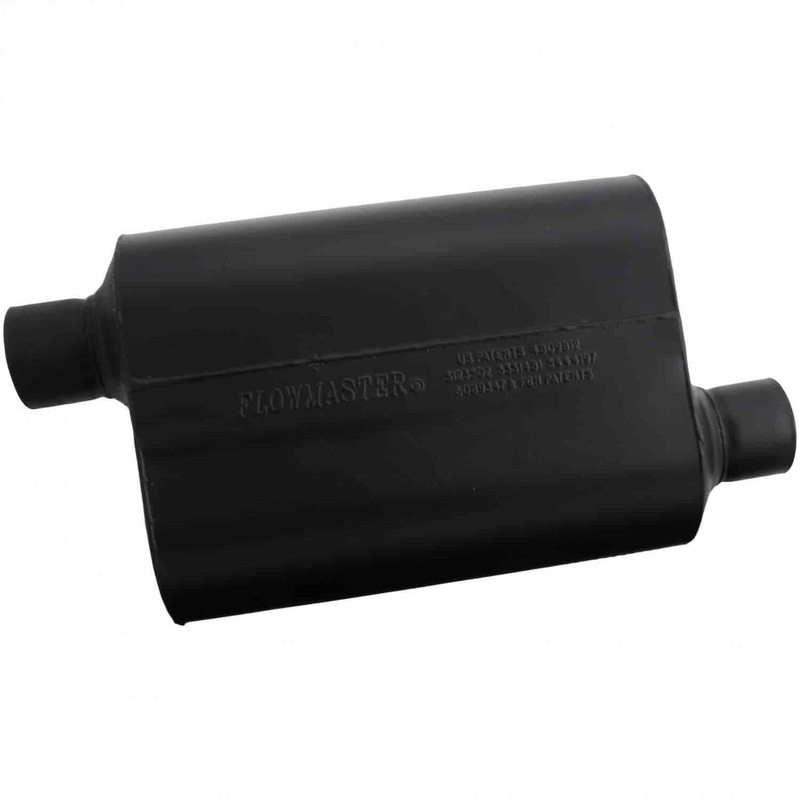 Flowmaster Super 40 Series Delta Flow Muffler Offset In/Offset Out: 2.5"
Flowmaster 942548 - Super 44 Series Delta Flow Muffler Offset In/Offset Out: 2.5"
Flowmaster's Super 40 Series Delta Flow Mufflers were developed for street/strip use. Utilizing Delta Flow Technology, these fully MIG-welded mufflers give the best performance to higher horsepower vehicles. Each Super 40 Series Delta Flow muffler contains a black, oversize case, which keeps the resonance down while the deep outside tone is sure to turn heads! Does Flowmaster 952548 fit your vehicle? 952548 is rated 5.0 out of 5 by 1.